Despite the ban on commercial whaling, the members of the IWC (International Whaling Commission), recognise the rights of certain aboriginal peoples to hunt a limited number of whales to meet nutritional and cultural needs. WDC respects the current differing cultural attitudes of some aboriginal peoples towards whales, however we aim to reduce and eventually end all whale and dolphin hunts by encouraging communities to move toward alternatives. Currently, the Russian Federation, the USA, Greenland and St. Vincent and the Grenadines receive such quotas. Canada is not a member of the IWC but allocates quotas for similar subsistence hunts. Bering-Chukchi-Beaufort Seas stock of bowhead whales (taken by native people of Alaska and Chukotka) -A total of up to 336 bowhead whales can be landed in the period 2013 - 2018, with no more than 67 whales struck in any year (and up to 15 unused strikes may be carried over each year). 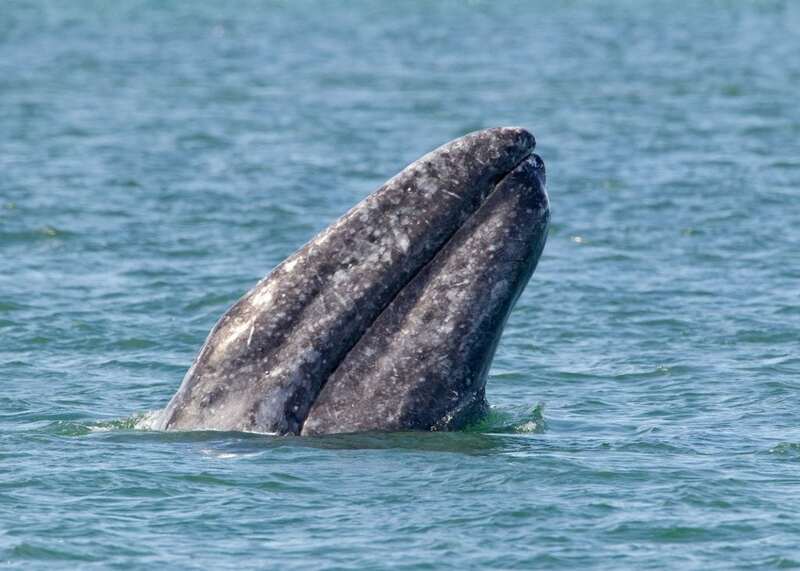 Eastern North Pacific gray whales (taken by native people of Chukotka) - A total catch of 744 whales is allowed for the years 2013 - 2018 with a maximum of 140 in any one year. Humpback whales taken by St Vincent and The Grenadines - For the seasons 2013-2018 the number of humpback whales to be taken shall not exceed 24. The number of minke whales from the Central stock shall not exceed 12 in each of the years 2015, 2016, 2017 and 2018. The number of minke whales struck from the West Greenland stock shall not exceed 164 in each of the years 2015, 2016, 2017 and 2018. The number of bowhead whales struck from the West Greenland shall not exceed 2 in each of the years 2015, 2016, 2017 and 2018. The number of Humpback whales struck off West Greenland shall not exceed 10 in each of the years 2015, 2016, 2017 and 2018. WDC has a series of general concerns about the IWC’s management of ASW whaling, as well as specific concerns about individual hunts. Over the last few years certain governments and aboriginal subsistence whaling communities have abused the definition by allowing whale meat to enter the commercial exchange chain, with whale meat being sold to tourists and non-native peoples. This has allowed for a blurring of the accepted definition of ASW, which has simply assisted commercial whaling interests to advance their arguments to be allowed to resume commercial whaling. The Scientific Committee is reliant upon whaling nations to conduct surveys of the whales they hunt and collect data such as DNA samples to provide the information needed to set quotas. Failure to provide this data can have serious conservation implications. The IWC provides no complete definition of the word ‘aborigines’ although it is assumed through precedent and practice to refer to native or indigenous people with an established and ongoing need to consume whale meat and products. The IWC permits contracting governments to nominate those whom they consider applicable. Even though the IWC has been clear on what they regard as those who should benefit from aboriginal subsistence hunts there is no formal requirement that they meet any definition agreed in wider international law based on cultural or anthropological parameters. Traditionally, the IWC has taken a twin approach in considering ASW applications; requiring to be satisfied that applicants have demonstrated both a nutritional/subsistence need for whale meat, and a cultural (i.e. traditional) reliance upon it. Historically, the Schedule specified that whales can only be taken by those “whose traditional aboriginal subsistence and cultural needs have been recognized” (our emphasis). Unfortunately, this language was not carried forward when quotas were amended in 2002. WDC believes that the previous twin pillar approach, that highlighted the importance of nutritional need, should be re-examined. In the majority of ASW cases, biological or nutritional need (i.e. the need for physical sustenance) is met, or supplemented, by other locally-sourced foods (including small cetaceans and other marine mammals) or increasing ‘imports’ of non-local, sometimes ‘western’ food. Thus, to justify a continued claim for an ASW quota, WDC believes that claimants should have to show something more – that their continued nutritional reliance on whales over alternatives is part of their traditional culture. WDC believes that when assessing subsistence need, the IWC should have all the relevant facts before it, including, at least, what takes of small cetaceans are being consumed by these communities in addition to large cetacean takes proposed. Before making a judgment to allow a hunt on a potentially endangered species the Commission must be able to make an assessment of the relative impact of not granting a quota versus the risk of hunting on such populations of whales. It would seem self-evident that a subsistence quota should not countenance any commercial elements. Despite this understanding, particularly in Greenland, the hunts show an increasing commercial component. Restaurants are deliberately targeting tourists with whale on their menus, and supermarkets and local markets have whale meat freely available for tourists to buy. The mixing of commercial and nutritional needs clouds the ability to make an appropriate assessment of the real nutritional needs of these native communities. The IWC recognizes that killing methods used in ASW hunts are typically less efficient than those used in commercial whaling operations, often leading to higher struck and lost rates and longer times to death. The IWC has passed several resolutions seeking improvements in the humaneness of aboriginal subsistence whaling operations. There are serious concerns about the efficiency of some methods used in aboriginal subsistence hunts, particularly the use of underpowered rifles in Greenland as a primary killing method for some minke whales and as a back-up (secondary) killing method for the much larger fin whales. However, the IWC leaves the decision about which equipment to use to the discretion of the hunters. The USA assists its native hunters by subsidising the purchase of explosive grenades, whilst the Danish and Greenland governments have allowed the commercial import and sale of explosive grenades from Norwegian sources to create an economic burden, which effectively incentivises further commercialization of the hunts.